Valentine's Day is this weekend...yes you read correctly, this weekend! 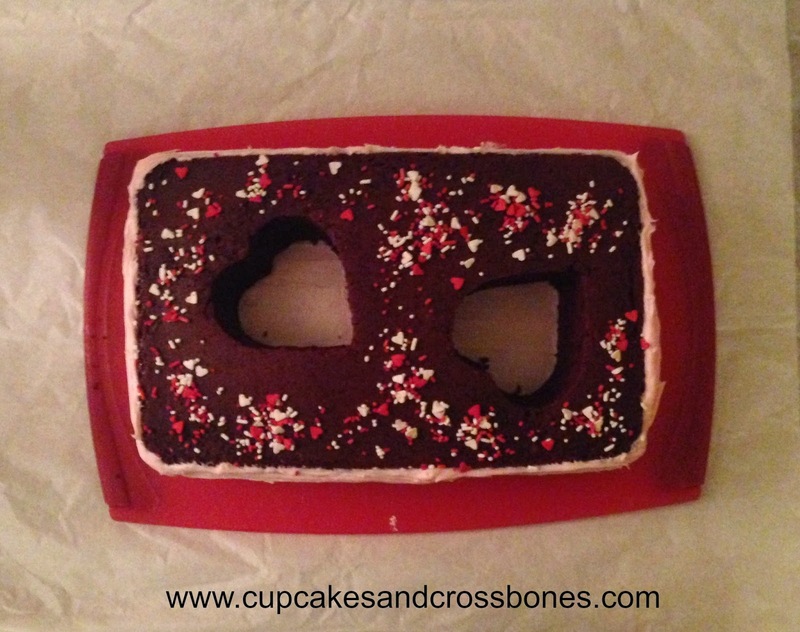 As we were playing around with some recipes this past weekend we came up with a fun and fairly simple Valentine's Day treat that is bound to knock the socks off of anyone who is lucky enough to have a piece. If...you decide you are even going to share a piece! Note: the bellow is for one cake you are going to repeat the cake instructions 2xs because you will need 2 11x7x1.5 cakes. In a mixer fitted with the paddle attachment, cream butter and sugar, until light and fluffy. In a small bowl, make a paste like consistency with your red food coloring, cocoa and salt. Mix in paste by hand to your cream, butter, and sugar mixture. In a measuring cup, stir eggs and buttermilk together and then add the eggs and buttermilk mixture to your red batter. Next add vinegar and vanilla, then add flour and baking soda. Mix until well combined but not over mixed. Butter your baking pan very well. Lay parchment on top and then butter the parchment. Pour your batter into your baking pan and smooth the top to even the batter out. Bake that yummy cake until a toothpick comes out clean for about 30 minutes. Remove your cake from oven and let your cake cool completely! Once cooled flip your cakes over onto two separate trays. Cake #1 will be your base. 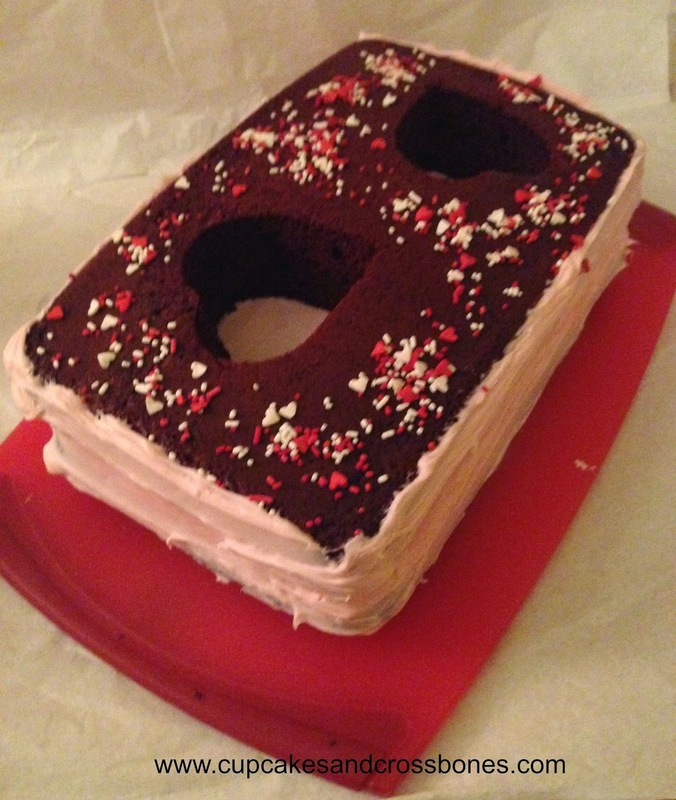 You are going to want to cover the top of cake 1 in a thin layer of frosting. Cake #2 will be the top layer. 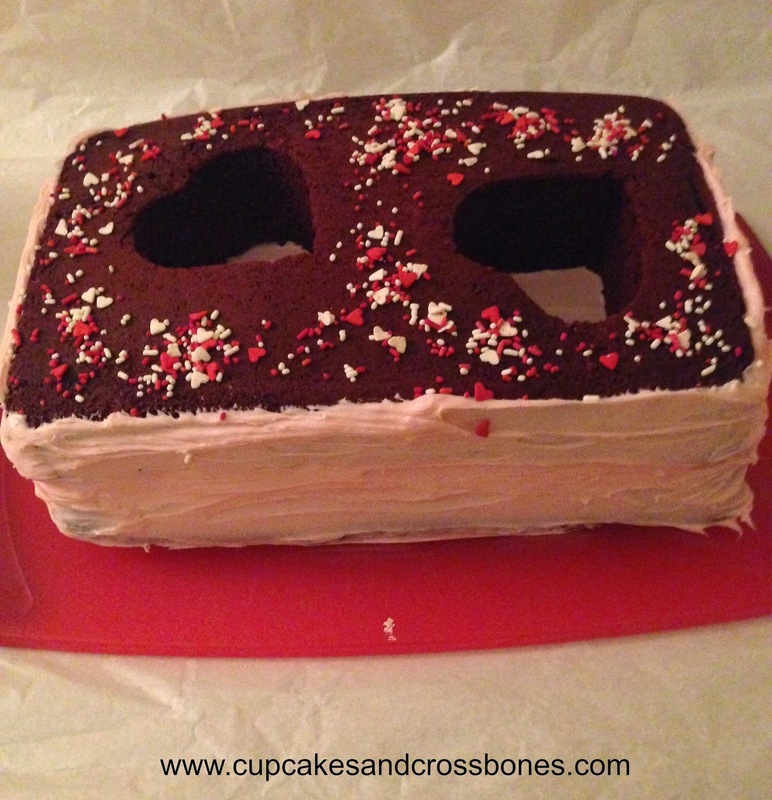 Use your heart cookie cutter and press it into the cake in any pattern you desire. Carefully remove the cookie cut parts and put to the side. Next carefully place the cookie cut cake on top of cake #1 flat part up. Grab a spatula and spread frosting all around the surrounding edge of the cakes so that they look like one and add your sprinkles onto the top of your layered cake. And there you have it! A sweet and delicious Valentine's Day treat to share, or keep all to yourself! Are you planning on baking anything fun this Valentine's Day? Thanks! It was quite delicious I must say! Very cute and very festive! Thanks girl! It was def a fun cake to make. Haha! It's a lot easier to make than it looks. Do it up girl! This is too cute!! I love red velvet cake and the heart shape? Just yes! Thanks Kay! Isn't Red Velvet cake the best!? 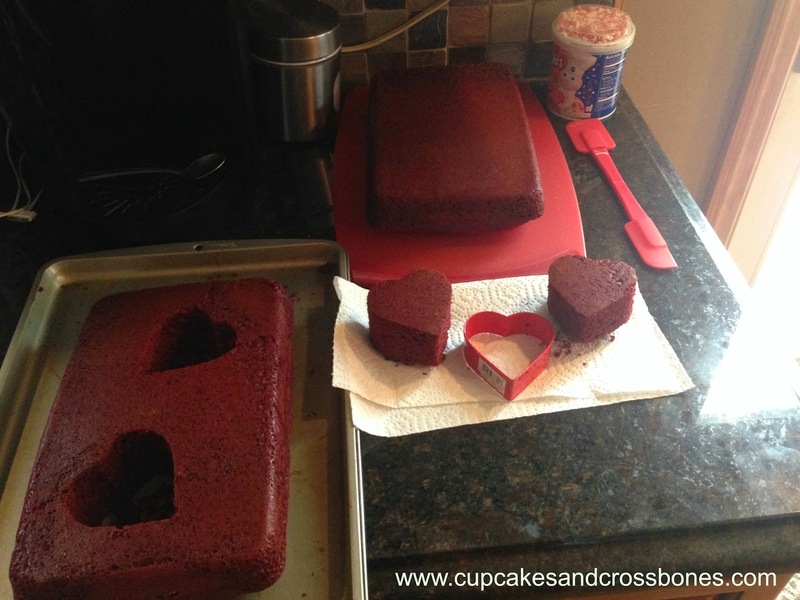 Such a cute cake idea, plus we like that we can totally eat the heart cut outs before the cake!